Harder, Faster, Stronger with Nutrition and Food! ESN is Complete Lifestyle Management! Join the ESN movement for healthy living! Book Your Appointment with One of our Amazing Sports Dietitians and Get started on your Nutrition and Health Goals Today! Did you know Dietitian services can be covered by Insurance Plans? Check with you employer to find out more and get started on your health goals today! Evolving Health Podcast is on Google Podcasts and Stitcher! That's right! The Evolving Health Podcast is now available on Google Podcasts and Stitcher! Just in time for the first full episode! In this episode Ben talks to Kevin, a renowned Manual Therapist that has a very different approach to health and the human body. Kevin talks about how he integrates over 11 systems in the human body to correct issues related to movement and health. Kevin and Ben also talk about the limitations of science as it relates to health and some of the unknown drawbacks of evidence based practice and evidence based medicine. Check it out in our media section or down below! Be sure to like, subscribe and share to keep up to date on the latest episodes! We've got A LOT planned! March 20th is Dietitian's Day across Canada and Ben is celebrating by launching his BRAND SPANKING NEW PODCAST! You may have seen some changes in the navigation bar, but to make it official, you should be able to hover over the Media section and you'll see a new option for Podcast! There you'll find Ben's episodes and the first one is already up! In the first episode of the 'Evolving Health' Podcast, Ben explains what his mission statement is and what he hopes to achieve with this podcast! Check out that site link here or listen to the first episode below! Remember to follow and subscribe to the podcast, but don't worry because if you're a part of our ESN Movement for Healthy Living, you'll see it in your email health tips! Announcing the ESN Learning Center - Sports Nutrition Certificate for Nutrition Professionals! There will be more details released in the next few days, but for now mark off your calendars because we're going to give you a taste of what to expect in the ESN Learning Center Sports Nutrition Certificate in a FREE webinar on February 6, 2019 at 12pm EST! The webinar will be recorded and be uploaded to our YouTube Channel shortly afterwards! We're a bit late to the party but that's because we've been hard at work and will be rolling out many changes over the course of the next month! Check in with us next week as we're going to have a TON of news to drop on you all! Stay tuned! Binge on our Latest Blog Posts and YouTube Videos! ​ESN Learning Center - Is the Ketogenic Diet right for You? Carbo-loading: You can, but should you? Did you miss the livestream for our free ketogenic diet webinar? Watch Ben Sit's livestream below to find out if the Ketogenic Diet is right for you! Happy Nutrition Month Everyone! We are starting the celebration by posting a new blog post which talks about the potential of food to FUEL! Stay tuned for the rest of the month for more exciting nutrition month festivities on our website and our social media channels! ​Read our latest blog posts here! We talk about HOW TO UNLOCK THE POTENTIAL OF FOOD, CRICKET POWDER, INTERNATIONAL WOMEN'S DAY, NUTRITION FOR COLLEGE AGED ATHLETES and HEALTHY EATING DURING EASTER! We also have a LEAN PROTEIN FATTER WALLET CHALLENGE on our Instagram page with some awesome prizes! Check it out here! So now is the perfect time to get our amazing ESN Sports Dietitians to help you achieve and maintain your health, nutrition and athletic goals! Be sure to check out our online store here or if you want to see our ESN Sports Dietitians in our clinics located across the GTA, Niagara/ Hamilton, Calgary or Ottawa regions be sure to visit our contacts page here! We hope you all had an amazing holidays and wish you all the best to meet your health, nutrition and athletic goals this year! 2.5 hours per month. Includes Game day prep (helps with your game plan for game day in addition to counselling and nutrition). Provides 24 hour International support (for athlete travelling overseas). Helps with healthy meal planning for travelling with road trip kits and easy recipe packages. 1.5 hours per month. Includes Game Day prep (helps you with your game plan for game day in addition to counselling and nutrition. International games are excluded.) Provide Road Trip kit for provincial athletes. We are happy and excited to introduce our Elite Athlete Program. We recognize the unique challenges athletes have. Therefore, with this package athletes can receive nutritional care to improve their athletic performance. This will also help athletes increase their awareness of sports nutrition. Check out our video below for more information. Our volunteer and social media manager, Ellyssa Brooks created a student survival guide teaching students about healthy eating and working out. These tips were developed and based on her actual university experiences. This student survival guide is continuously helping her stay healthy and active while also overcoming the stress and anxieties of being a student. Moreover, it includes tips on managing stress and sleeping well. This will teach students about the many practical ways to live a healthier lifestyle within a university/college setting. It also contains many examples and visuals to help with your lifestyle changes. This guideline is a useful tool for regular students who are looking for sustainable tips on nutrition and fitness. Check out the media section for the download link to ESN's student survival guide! 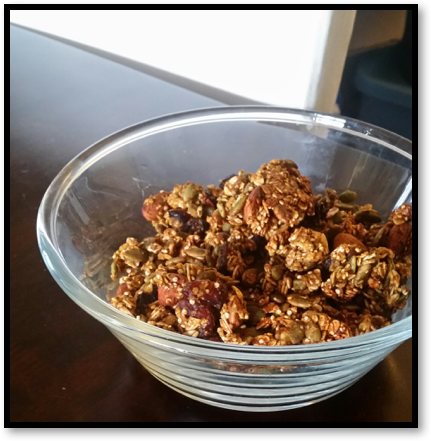 NEW RECIPE OF THE MONTH: Pumpkin Spice High Protein Granola and NEW BLOG POST by Emilie Trottier! Check out our latest YouTube video for a video tutorial of how to make this healthy snack! Full recipe is in the media section of our website. Emilie Trottier wrote our latest blog post talking about whether or not macro counting is right for you! Read the full blog post here! UPDATE: ESN is Featured in Food & Wine's Interview About Hydration and One of the Top 75 Sports Nutrition Blog According to Feedspot.com! ESN's dietitian Ben Sit talks about hydration (specifically why athletes like Blake Coleman from New Jersey's Devils drink pickle juice) in Food and Wine's latest blog post! Read what he has to say here! Another exciting news, Feedspot.com ranked us 50th in their Top 75 Sports Nutrition blogs! For more info about previous interviews ESN was featured in, check out the Media section of our website! “Health at Every Size” is a term you probably have seen all over social media and news. People either embrace it or demonize it. Some claim that it helps with self acceptance, positive body image, while others argue it enables obese people to remain obese, and those suffering with eating disorders to justify their behaviour. But what does it really mean? What is the purpose of the “Health at Every Size” movement. Read more about the truth behind "Health at Every Size" here. Below is our latest YouTube video talking about how alcohol impacts your body while training for endurance sports. Enjoy! It’s back-to-school season. That means back to routine and (hopefully) some sense of normalcy compared to summer. Regular schedules make it easier to predict mealtimes. However, school commitments can also lead to less free time. What does this mean in terms of healthy eating? Meal planning is key. Many of my clients get so overwhelmed by the idea meal planning they don’t know where to start. Following the steps outlined in this blog post will help provide you some guidance. In our latest blog post, Kevin Iwasa-Madge (Sports Dietitian) talks about weight-cutting in relation to why McGregor looked 20 lbs. heavier than Mayweather. Read the blog post here. We also added a new section under the Media tab called 'Interview' Archive. Ben Sit from ESN was recently interviewed for a Buzzfeed article regarding alcohol intake and weight loss. Check out those interviews on our media page now! New Blog Post: Are these "health" foods sabotaging your weight loss goals? Are you an active individual eating a healthy diet and puzzled as to why you can’t take off the last 10-20 pounds? Specializing in sport nutrition and weight loss I see a couple common mishaps. Could a few key “health” foods be kiboshing your weight loss efforts? These 3 come to mind. Huge congrats to our RD Aylsha Coughler @barbellblonde who rocked the stage this weekend (far right) in Barrie @aroundtheopa. She looked amazing in her beautiful red suit with hair and makeup on point! So proud of you Alysha! You inspire us all! In other news, our recent blog post (also written by Alysha) is now live! Alysha talks about how important sleep is when it comes to reaching your health and fitness goals. Read the full blog post here. 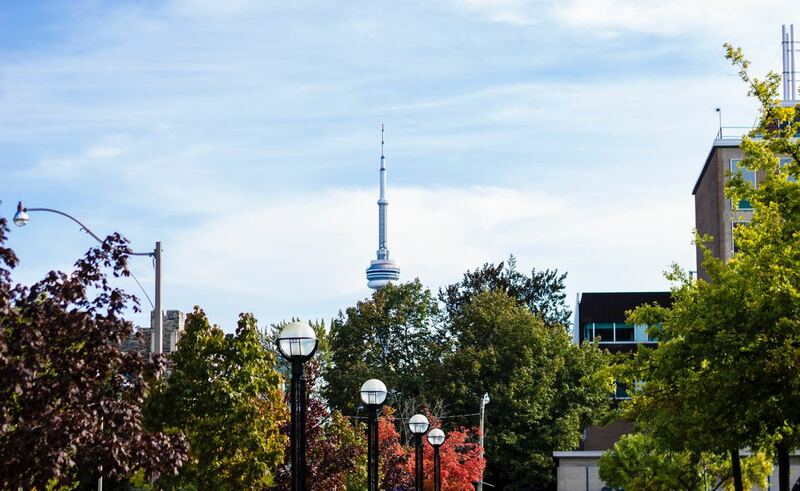 It's finally starting to look and feel like summer in Toronto! This short but fun-filled season motivates people to go back to the gym and eat healthier. With this mindset comes the idea of CHEAT MEALS such as burgers and fries. Our ESN Dietitian, Danielle isn't a big fan of the term "cheat meal" but enjoys burgers and fries once in awhile. Read our latest blog post to find out why. Hi guys! Monday is here and so is the newest ESN Video on the Youtube Channel . Watch Ben and Danielle talk about the effects of alcohol in nutrition and resistance training! Check out the Youtube Channel for many other videos! ​Visit our Media page for more recent updates like pictures of Ben with other amazing dietitians during the DC Conference in St John's, Newfoundland! So as you can imagine the entire ESN team have been working on overdrive for Nutrition Month and we couldn't be happier with the positive feedback that we're getting from you all! We hope you've been paying attention to the Social Media handles as our ESN Social Media team have been KILLING it with our Instagram, Youtube, Twitter and Facebook accounts! As many of you know, we've been doing videos for our Youtube Channel for each topic of Nutrition Month but we thought we'd change it up a bit and unload a huge announcement on you guys! ESN is now in the Hamilton/ Niagara Region of Southern Ontario! Please check out the the newest addition to the ESN family, Catherine in our about section for ESN Niagara/ Hamilton! Catherine has also put together a blog series on Stress and Nutrition, one of the themes and topics of this year's Nutrition Month. So be sure to check out our Blog section​ to see how stress is affecting your health and nutritional status! Finally, Ben is running Canada's oldest Road Race this weekend, the Around the Bay 30km race in Hamilton and will be taking over the ESN Instagram account this weekend! Stay tuned to the ESN Instagram account as Ben does a takeover of the entire race weekend starting on Friday! He'll be posting photos of the race conference, his nutritional intake throughout the entire weekend and his finisher medal photo (That is if he survives Heartbreak hill!). So stay tuned on Friday as Ben does the first ESN Instagram account takeover!